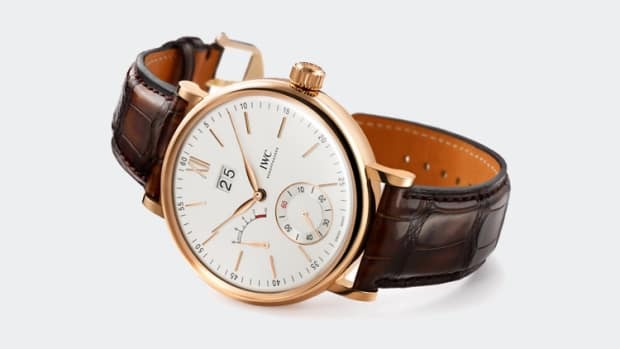 Underneath the elegant and unassuming dial lies one of IWC&apos;s most sophisticated movements and their second in-house for their Portofino line of watches. 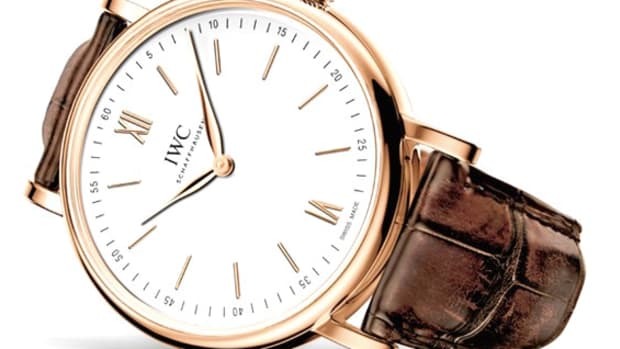 The complex piece of machinery under the hood is the company&apos;s 59360 calibre which powers its single push-button stopwatch functionality and has an incredible 8-day, 192-hour power reserve. 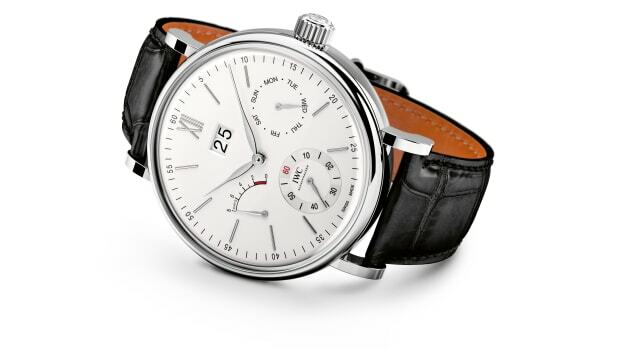 The watch&apos;s energy reserve can be viewed via the watch&apos;s dedicated indicator at nine o&apos;clock, which sits between the watch&apos;s chronograph subdials. 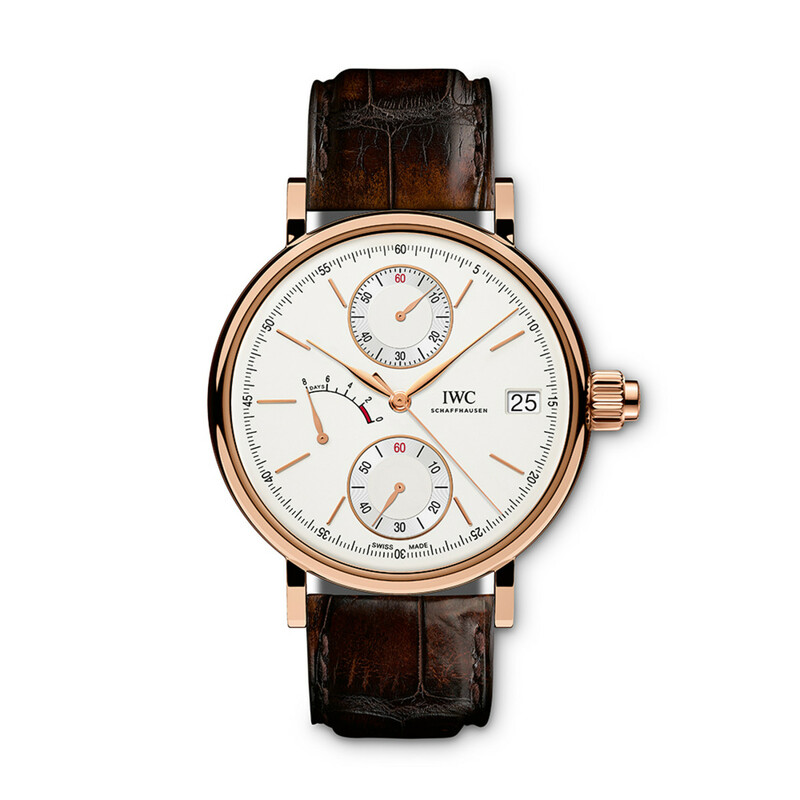 The watch comes in white or red gold with a matching Santoni alligator leather strap, of which the company has an exclusive partnership to produce hand-crafted watch straps.